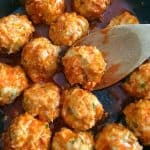 Low Carb Slow Cooker Meatballs- Sweet & Sour Cocktail Version! These slow cooker meatballs are so simple to make, you will be amazed. I have used this recipe for years now, and my family always asks for seconds. They are simple to make and great for a busy weeknight meal, just toss in the slow cooker before you head out for the day or of course for holidays, pot lucks and parties. With our low carb sweet and sour version you don’t have to miss out! What makes these meatballs keto approved? 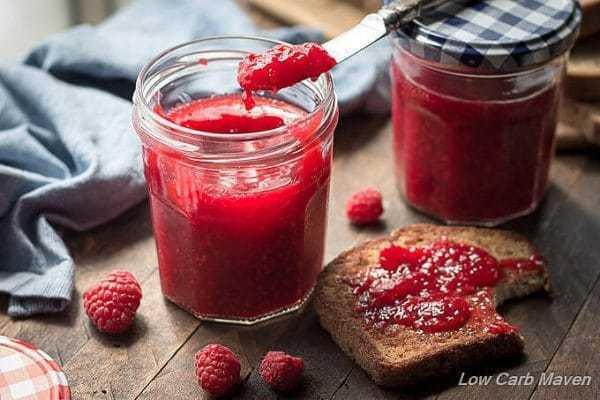 Using a jam sweetened with natural sweeteners like monkfruit or stevia is keto approved. Chili sauce is made from ingredients listed in the “eat occasionally” section of the keto approved list. The recipe makes 24 meatballs, 3 meatballs per serving. 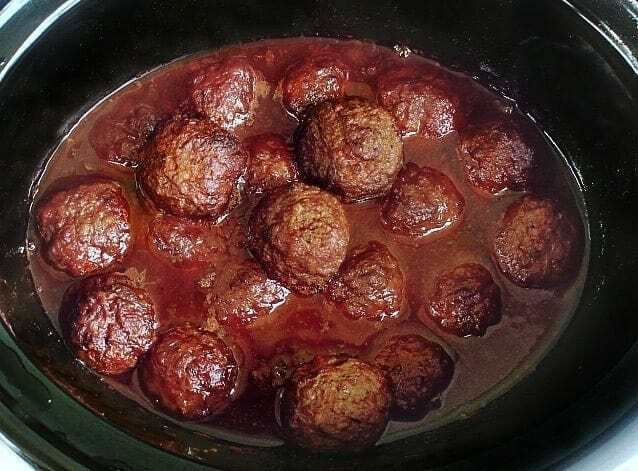 Our sweet and sour low carb slow cooker meatballs can be made with frozen pre-made meatballs or if you prefer the homemade. Just be careful with pre-made meatballs, check the label for carb content. The sauce is the same either way, and I have tried both and it is equally good. It is just a preference on what you like for meatballs or have time for. 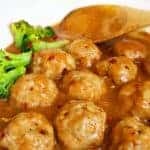 In the past when I have made homemade meatballs, I double and even triple the batch, and then just freeze a portion of them for this recipe and others later on. 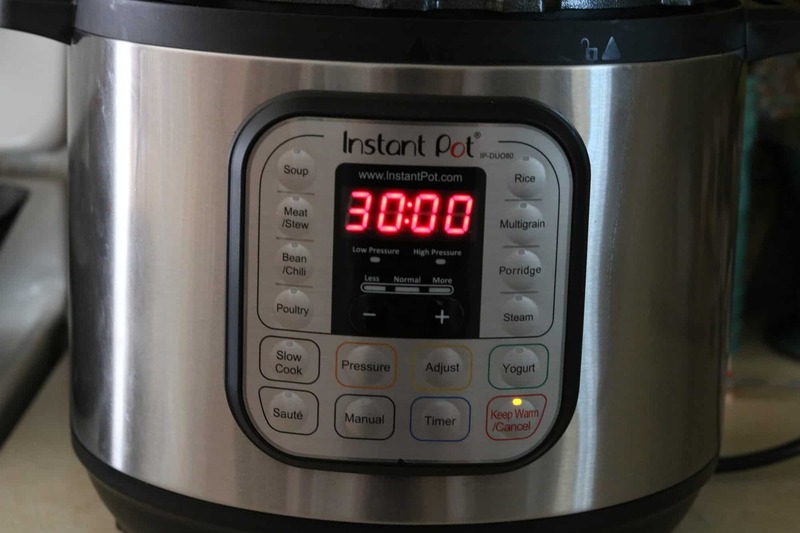 I absolutely love my slow cooker (and Instant pot!)…. 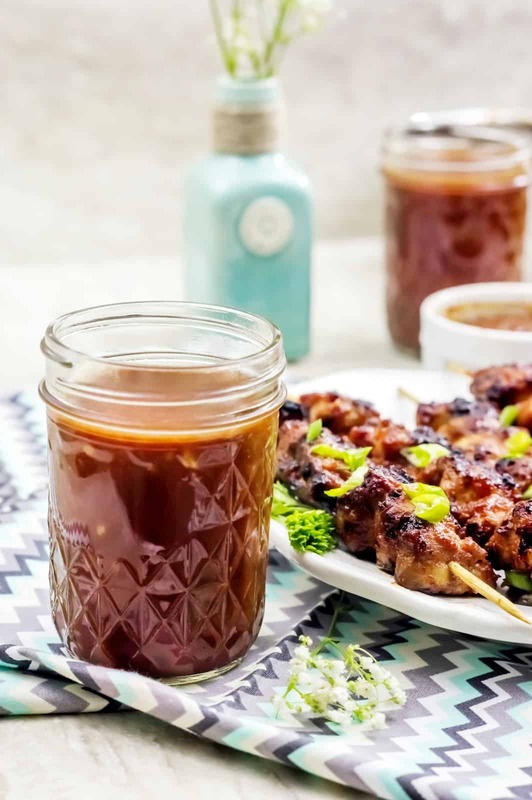 It seems like in the cooler months I pull out my slow cooker more often, there is something so rewarding about having a meal ready when I get home from running errands and a long workday. 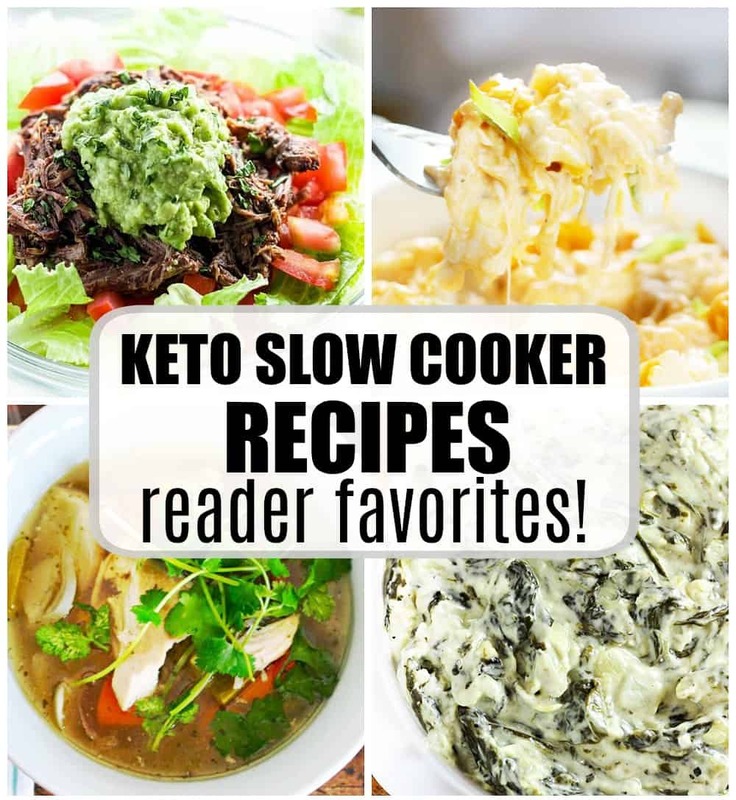 I love making soups, stews, desserts and more in my slow cooker. It is such a versatile kitchen accessory. Anything to save me a little time and still get that amazing flavor out of a dinner deserves a gold star in my books. 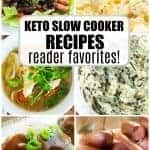 When you are done with this low carb meatball recipe be sure to check out our favorite keto slow cooker recipes. There is something for everyone there. Family favorites that they won’t even realize are keto approved! In this recipe, you simply add in the ingredients to the slow cooker , set it and forget it. Then stir around and set your slow cooker to low for 8 hours or high for 3-4 hours. If you want less mess and an easier cleanup try some slow cooker liners, they work great, you place in the slow cooker before you put food in. Then when you are done you just toss the liner and the remains in the trash. It leaves the sticky cleanup that you generally do, non-existent. Serve with buttered low carb bread or over a bed of cauliflower rice. 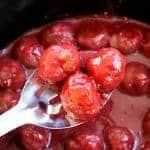 If you prefer to make your own low carb jam I have used this recipe for raspberry jam for these meatballs. The sweet and sour sauce for the meatballs will taste slightly different than if using grape jelly, but still amazing. This is the only sweet and sour low carb slow cooker meatballs recipe you will ever need! Perfect for the holidays. Keto approved! A great appetizer OR meal! Set slow cooker to high, cover and set aside. Preheat oven to 400. Grease a sheet pan with Olive oil. Mix all meatball ingredients together in a bowl. Roll into 42 meatballs, about 1.5 oz each. Place on sheet pan and bake 12-15 mins in PREHEATED oven. While the meatballs are baking add the sauce ingredients to the slow cooker, mix well. NOTE- add a dash of onion and garlic powder if desired. 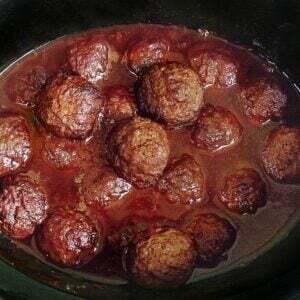 Place cooked meatballs in slow cooker , mix, cover. Cook on high for 2-3 hours or low for 8 hours. 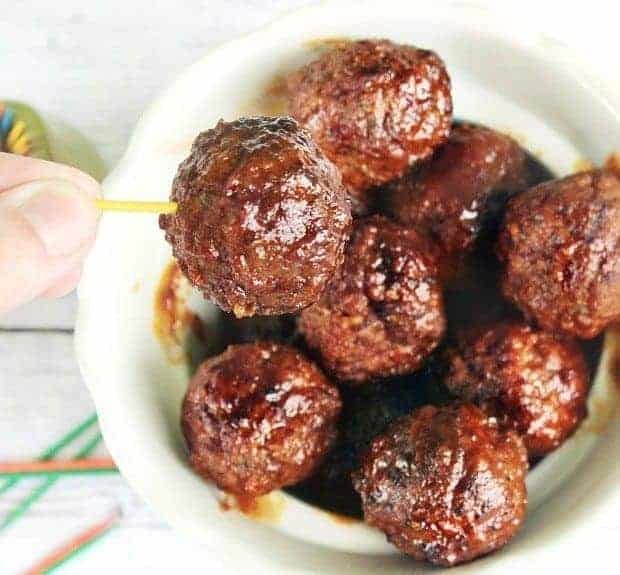 Try making these meatballs with our homemade low carb BBQ sauce! I didn’t get 42 meatballs from this. Only half of the amount. Maybe my scale is off because I weighed them at 1.5 oz. Is 42 a typo? This perfectly made 24 and I also weighed them at exactly 1.5 oz. Love the recipe. Does this freeze well? What exactly is the chili sauce? Like an example brand? Thanks! I usually buy store brand so I am not actually certain of other brands, however if you go to the condiment aisle you should find it with the ketchups, A1 and BBQ type sauces. Which sf jelly did you guys use?